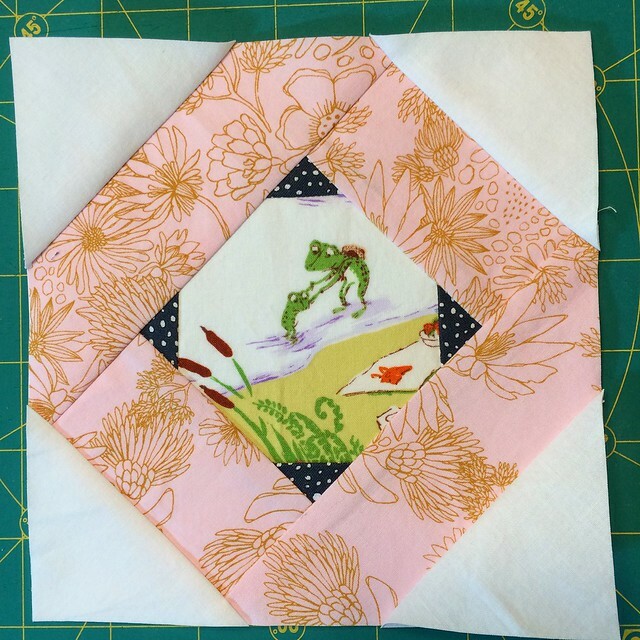 Late last week I started making the Tell Me A Story Quilt. This pattern is from Amy Friend's new book, Intentional Piecing. I consider Amy a good internet friend who I have been able to meet in person several times too. Amy is super talented and creative and I so love her new book. I originally thought I would make just one or two of these blocks to try them out, but no dice. I challenge you to make one and not be immediately hooked. They are foundation pieced and so they come together easily and are so crisp and pretty. 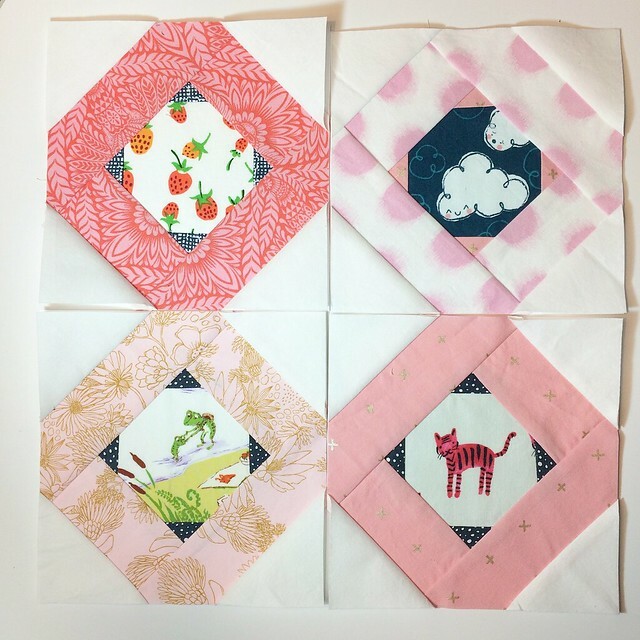 I shared these blocks on Instagram but I have to share them here too. That block above is about the strawberries, with hidden elephants in the border. 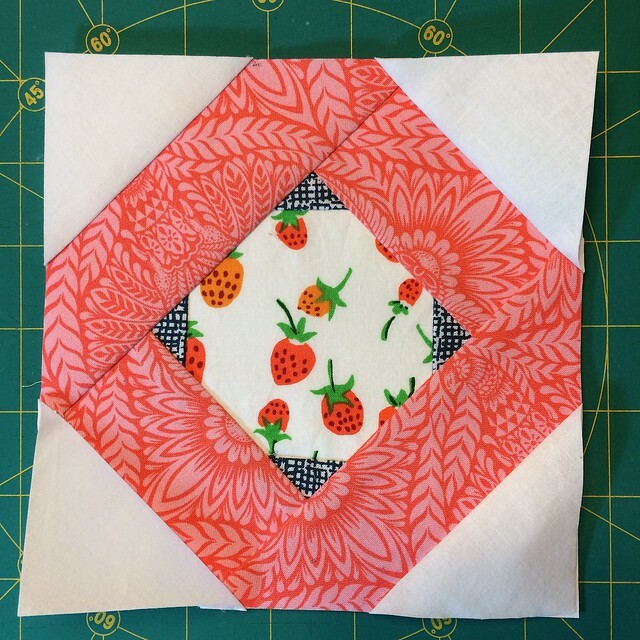 I figure this will be a quilt for a child, and strawberries are always a favourite. My story for this block is: "Let's go on an adventure little one." I have to say that although I don't see my stash as full of picture prints, I had no difficulty finding a stack to use. Amy has started a Tell Me A Story story telling event, and you can join in too - it runs until June 1. There is a fantastic prize too. My story for this block is: "Flo and Sally are two fluffy clouds floating along on a light breeze." My friends on Instagram has a lot to add to that story, it is fun to imagine. And that is why this will be such a fun quilt. "This is Stella, a rare magic pink tiger-cat who hides in the tiger lilies. If you catch a glimpse of her you will have good luck." I am planning to make more this week. I am also loving Amy's book. 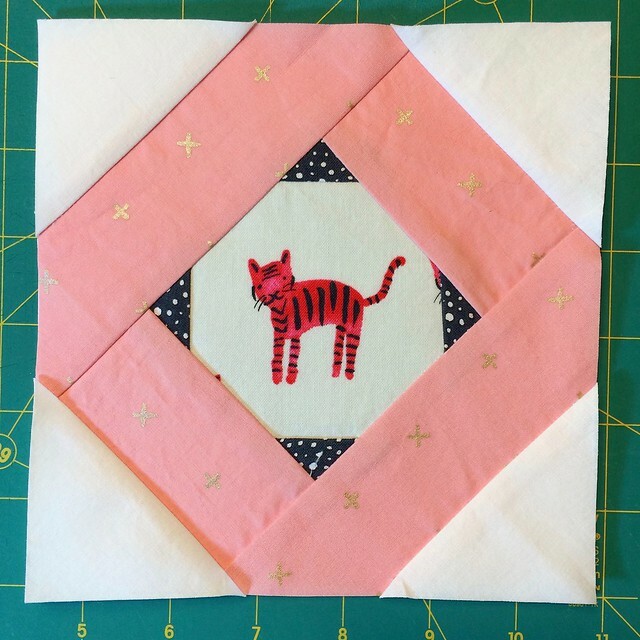 It is chock full of other fantastic quilt patterns which Amy has been sharing on her blog, During Quiet Time. After I finish with this quilt, I have a few other patterns that I have added to my list to make too. If you want this excellent book, I can offer you a discount of 30% using the discount code FRIEND30 at the Lucky Spool website here. Those are so sweet and will make a wonderful story. Fun blocks; I like your color story too. The blocks look super addicting. I love the thought Amy put into her book and have really been enjoying seeing more about the projects she included. Thank you for sharing your thoughts about the book and I am so glad you got hooked on the Tell me a Story blocks! 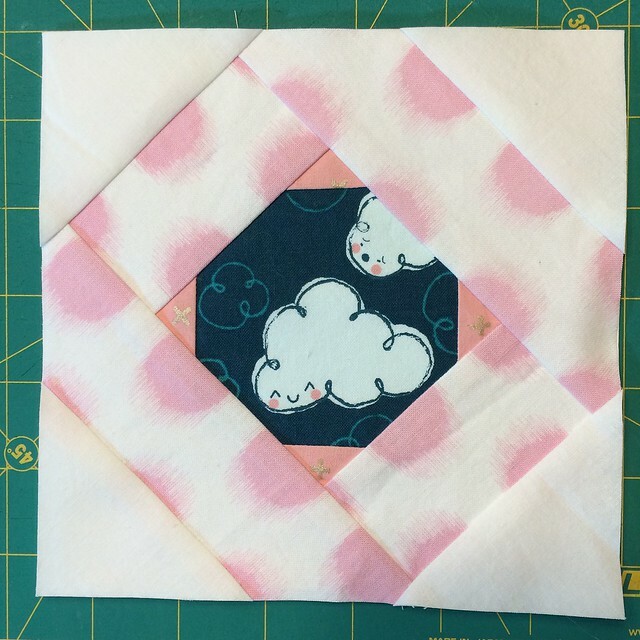 When you used your cloud print it pushed me to get mine into a block too and out of my pile! Love this Leanne - it's so pretty seeing those little moments framed and beautiful.